I.Print Advertisement: The topic of this round was “Sustainability”. Students created some exemplary posters depicting the topic in short preparation time. 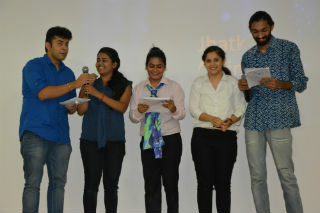 II.Radio jingle round: The participating teams composed some fun and catchy jingles on the hypothetical product given to them. 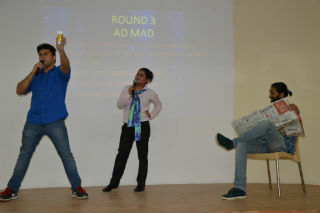 III.Audio Visual Advertisement round: The qualifying teams who moved to the last round, were given different products on which they choreographed an advertisement. All the teams performed really well in this round, and showcased some innovative use of props. 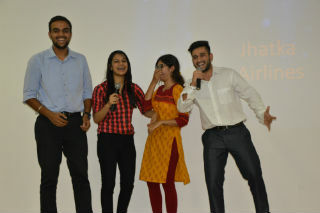 The topics for the last two rounds were hypothetical and unusual products which forced students to think out of the box and come up with some very innovative and humorous advertisements. 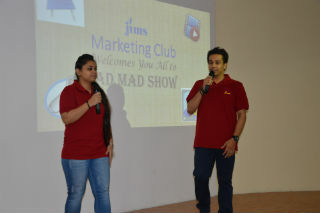 All the advertisements were very entertaining, which also received a good response from the audience. 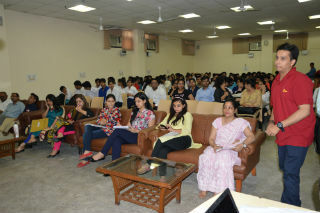 All the participant teams displayed creative thinking and commendable team work. 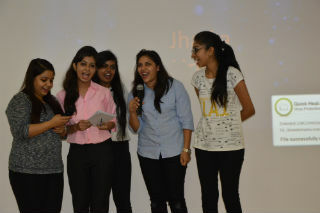 The teams were evaluated on their performance in all three rounds. 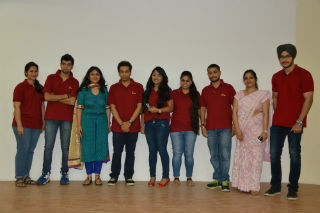 At the end of the event first runner up and winning teams were announced. 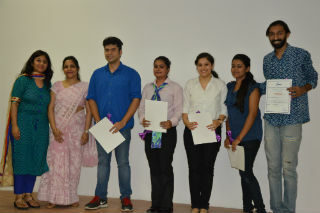 Ms. Yukti Ahuja and Ms. Parul Raj shared their appreciation and awarded the teams with prizes and certificates.